The type of analysis should be appropriate to the problem being considered. The following may be used: linear elastic analysis, linear elastic analysis with limited redistribution, plastic analysis and non-linear analysis. 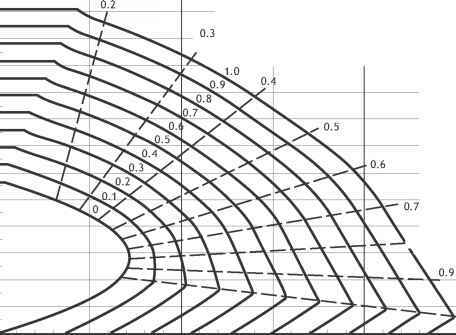 Linear elastic analysis may be carried out assuming cross sections are uncracked (i.e. concrete section properties), using linear stress-strain relationships and assuming mean values of long-term elastic modulus. For the design of columns the elastic moments from the frame action should be used without any redistribution. For slender columns a non-linear analysis may be carried out to determine the second order moments; alternatively use the moment magnification method (Cl 5.8.7.3) or nominal curvature method (Cl 5.8.8) as illustrated in Figure 3. The latter is expected to be adopted in the UK.